2018 Luxury Rincon Beach Resort in Anasco, Porta del Sol, PUERTO RICO! Bid Per Night and Choose Your Length of Stay! 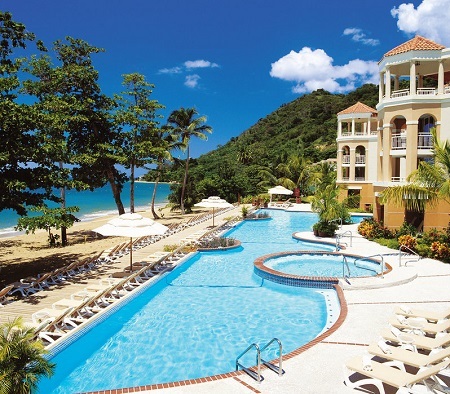 Luxury Resorts in Puerto Rico! Experience paradise at Rincon Beach Resort, a luxury Porta Del Sol Resort. Set in a secluded corner of Añasco Bay, this Puerto Rico resort is the perfect place to lounge in the warm sunshine. 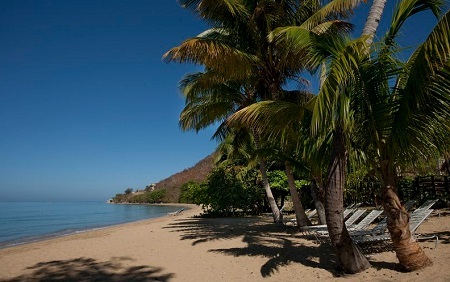 From quiet, sandy beaches to tropical surroundings, guests enjoy breathtaking vistas from their peaceful, airy guestrooms, dine on Caribbean fare at one of the resort’s two restaurants, or sip rum cocktails poolside. The resort’s privacy and abundant scenic settings make it easy to drift away into your own tropical dream vacation. Rincon Beach Resort’s location in Añasco puts guests near many of the island’s best cultural attractions and entertainment options. Take a diving expedition, or watch world-class surfing at the regional beaches. Whale watch from Rincon Lighthouse Park, or zip-line through Puerto Rico’s lush landscape. Golf at one of the nearby courses, or visit historic churches and local art museums for a dose of the region’s rich history. 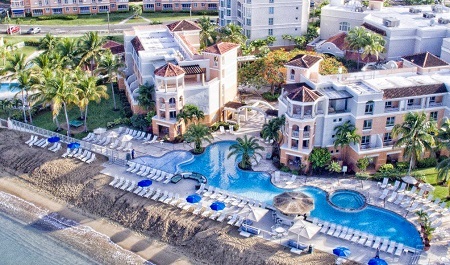 Rincon Beach Resort, a premier Puerto Rico hotel, is the perfect oasis for your time in Porta Del Sol. Guests at Rincon Beach Resort dine at two festive Caribbean restaurants, including a beachfront grill. 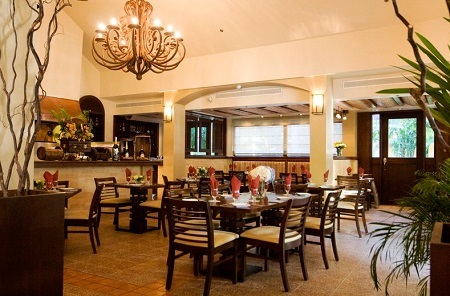 The resort also is surrounded by a variety of exciting Añasco Bay restaurants. Relax under the tropical sun at the serene infinity swimming pool overlooking the Caribbean Ocean, or enjoy a dip in the Jacuzzi. Take an excursion to Desecheo Island, a wildlife refuge and one of the top diving spots in the Caribbean. Located in Añasco in the Porta del Sol region on Puerto Rico’s west coast, Rincon Beach Resort is near many attractions, including one of the world’s largest cave systems, bioluminescent waters, and important historic sites. Offer is based on single or double occupancy in Standard Room - Queen Bed - 320 SqFt. No Balcony. 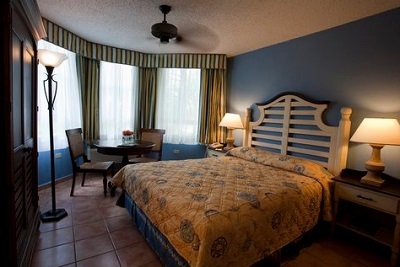 In Addition there is a resort fee of $27.07 per room per night that is to be paid locally at the resort upon arrival. This fee is charged by the resort, and is NOT included in the $49 per night taxes and service charges. Stay for a minimum of 1 Night and up to 6 nights as desired and based on availability.